For this post I set myself the challenge of finding Dunedin’s first state house. By state house, I mean a residence from the housing scheme of the first Labour Government of 1935 to 1949. The state did have a go at social housing earlier in the century. Twenty houses were built at the Windle Settlement in Belleknowes under the Liberal Government’s Workers’ Dwelling Act of 1905, and another eleven houses were built in Dunedin under the 1910 Act, but these projects never developed into the ambitious schemes that had been intended. Meanwhile, the Railways Department had a history of building housing for its workers, and local councils also developed schemes. The Dunedin City Council built rental houses for low-income families in Clyde Street in the 1920s, and in the 1930s it subsidised private housing developments, with 270 houses built when land was opened up at Clyde Hill in 1937. The housing crisis of the early 1930s was made worse by the Great Depression, with some low-income urban families living in slum-like conditions. Michael Joseph Savage’s Labour Party came to power in the 1935 general election. 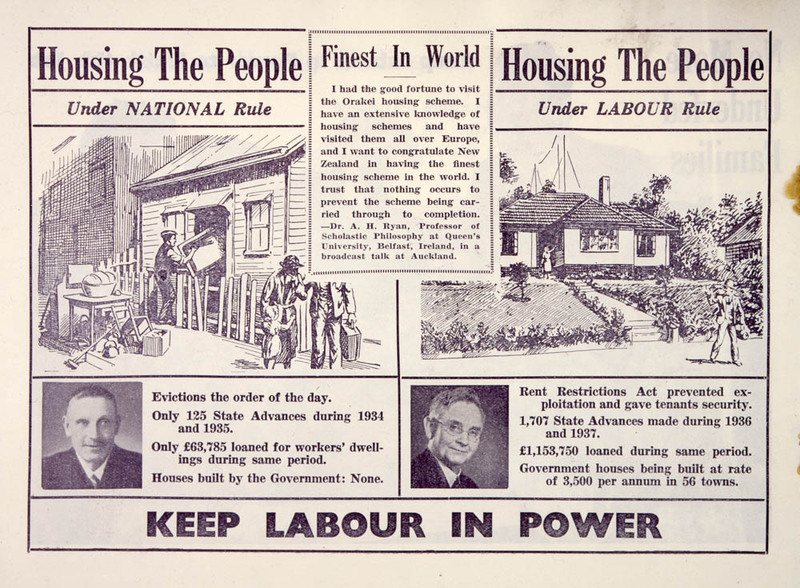 The party’s electoral platform for housing was modest (chiefly extending state loans already in place), but in their 1936 budget the new government declared plans to build 5,000 state rental houses throughout New Zealand. John A. Lee, who had himself been raised by a solo mother in squalid conditions in Dunedin, was Under Secretary to the Minister of Finance and had the responsibility of overseeing the state housing scheme in its first years. By 1939, fifty-seven state houses were being completed every week and over 30,000 state houses would be built by the time Labour left office in 1949. A leaflet from Labour’s 1938 election campaign. Ref: Eph-A-NZ-LABOUR-1938-01-010. Alexander Turnbull Library, Wellington, New Zealand. http://natlib.govt.nz/records/23034888. The first state house developments in Dunedin were at Pine Hill and Wakari. 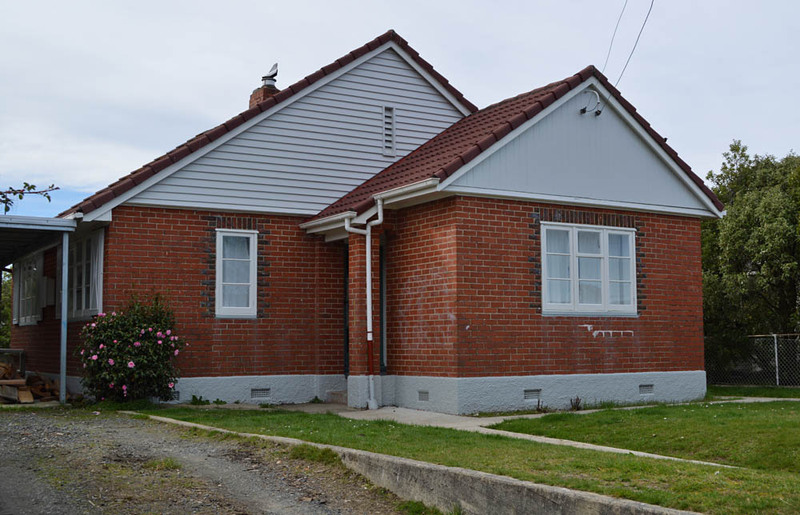 Corstorphine is probably the suburb most associated with this type of housing in Dunedin, but it wasn’t developed until the 1940s. Newspapers from early 1937 refer to a proposed new settlement Liberton in Pine Hill, which apparently took its name from a place in Edinburgh. This may have been due to its association with a local identity, but there also was a default way of finding new names in Dunedin: look at a map of Edinburgh and see what hadn’t been used! Intriguingly, the name of the original Liberton is widely said to have been a corruption of ‘Leper Town’, as a leper colony was supposed to have been sited there. This theory now appears to be discredited and the name may come from the Old English words hlith (hillside) and beretun (barley farm). 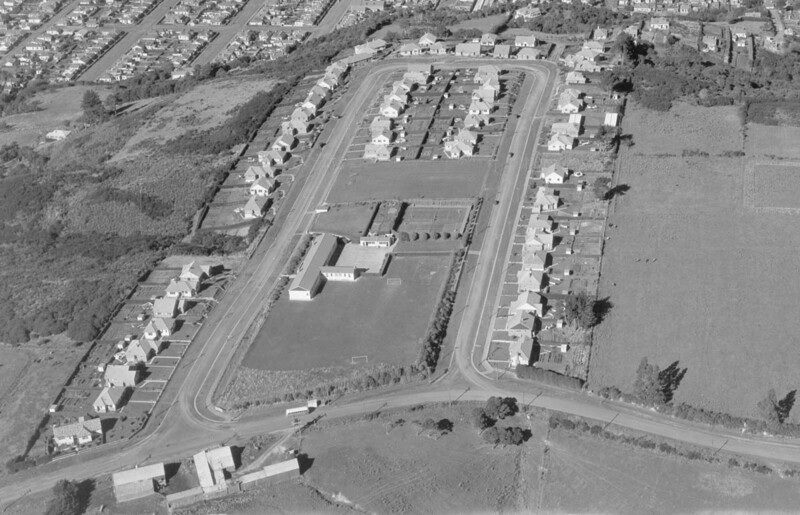 Three new streets in the Dunedin settlement were arranged in a horseshoe fashion on former Otago Education Board land. They were named after past secretaries of the Board: James Wilkinson, Patrick Pryde, and John Hislop. A contract to build the Dunedin houses was awarded to the Love Construction Company in April 1937 and soon a small army of construction workers was at work on Pine Hill. Sixty-four dwellings were constructed. The houses were of similar finish with tile roofs and brick exteriors, and the trademark square-paned casement windows, but the designs were varied. The Evening Star noted that Liberton ‘was not being built to a definite geometric pattern, and cannot be criticised on the grounds that every house is exactly similar to its neighbour’. Some local real estate agents were doubtful that the scheme would succeed in such a location. ‘What is the use’, said one, ‘of houses carrying a low rent if they are so far out of the town that the occupiers will have to spend a large sum every week in bus fares?’. For this reason they suggested Green Island, with its easy access to the railway. On 18 September 1937 New Zealand’s ‘first state house’, at 12 Fyfe Lane in Mirimar, Wellington, was officially opened by the Prime Minister. At the same time, houses in Liberton were already nearing completion, with roofing and glazing completed on some of them, but none were occupied until March 1938. Factors contributing to this may have included the logistics around services for the scheme, or drawn out application processes for tenancies. So which house was the first? To be consistent with the acknowledged first state house in Wellington, I looked for the first house tenanted in Dunedin. 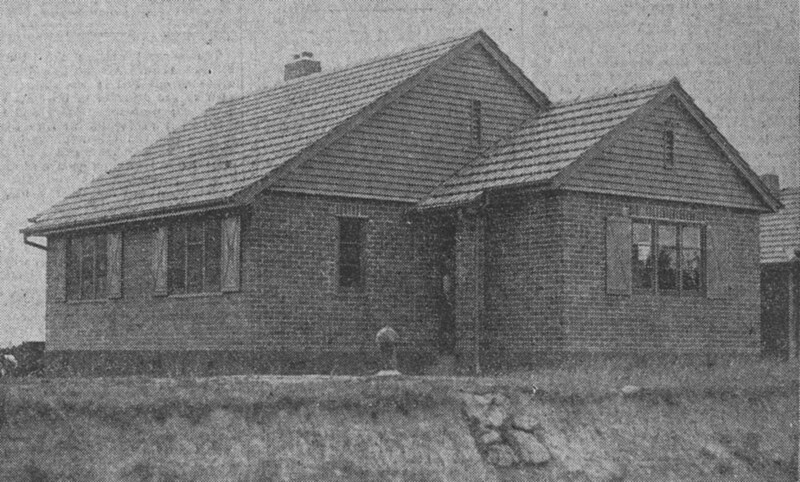 The Otago Daily Times and Evening Star newspapers recorded that the first tenants moved in on 1 March 1938 and featured photographs of their house, though without naming the street or number. After taking a look around the area, I have identified the house as 11 Wilkinson Street. 11 Wilkinson Street on its completion. 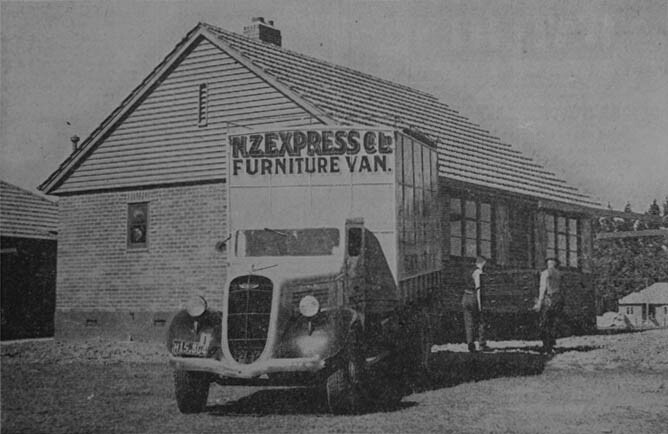 Moving in day at 11 Wilkinson Street, 1 March 1938.
Who lived here? Electoral rolls and directories record that the first couple to live at no.11 were Alf and Beryl Seamer. Beryl was 28 years of age, and Alf was a 32-year-old civil servant who worked for the Department of Agriculture. I checked the Pine Hill School records but the Seamers did not have children enrolled there. They remained in the house until 1942, when they moved to the North Island (where they had come from originally). Bill and Esma Lobb were the next to move in and they stayed at the address until 1950. These days Pine Hill is a mixed area including state houses, ex state houses, and newer private dwellings. The earliest houses are mostly grouped together in Dalmore. As in many suburbs, there are fewer shops than there used to be but there is still a dairy. There are two schools (one state, one private) and two churches (Presbyterian and Anglican). In recent years local gang tensions have sometimes made the news. Wilkinson Street is an appealing spot with its sunny outlook, semi-rural views, and some established trees. Some houses appear down at the heel, but others look lovingly maintained. Where Corstorphine has more of the later weatherboard designs with more uniformity, there is a nice variation on a theme here. Considering the large number of state houses that have been sold under different administrations since the 1990s, I was a little surprised to find that Housing New Zealand still own 11 Wilkinson Street. Of the twenty-eight original state houses in the street, five are still owned by the Crown corporation. No.11 looks mostly original from the outside, although one of the gable ends has been reclad and false shutters at the front have been removed. I hope it will be preserved – sometimes, modest little buildings are more significant than appearances suggest. Otago Daily Times, 8 April 1937 p.12 (‘The Liberton project – its success doubted’), 19 April 1937 p.10 (Dunedin contract let), 31 August 1937 p.4 (progress), 2 March 1938 p.4 (‘Liberton homes – first tenant moves in’). Findlay, Michael. Dunedin Contextual Thematic History. (Dunedin City Council, 2009). O’Brien, Rebecca. First State House. (New Zealand Historic Places Trust register entry, 2002). Thanks to the Dunedin Public Library for access to their newspapers for photography. This entry was posted in Buildings and tagged 1930s, Houses, Liberton, North Dunedin, Pine Hill, Wikinson Street on 31 August 2013 by David Murray.